The Yamaha PSR-S900 is an arranger workstation that has MegaVoice and Super Articulation technology that deliver sonically realistic sounds. The PSR-S900 gives you over 800 voices and drum kits. 61 full-size keys with touch response gives this Yamaha keyboard great feel while the large, color backlit LCD screen makes it easy to navigate. The arranger's USB port provides a computer audio interface and external storage capabilities. You also get a LAN port for Internet connection, microphone input, three-part vocal harmony function, video out for live performance or karaoke, as well as pitch bend and modulation wheels for more expressive playing. You can also choose optional onboard hard drive recording at CD quality. Yamaha PSR 630 Keyboard - in excellent condition. 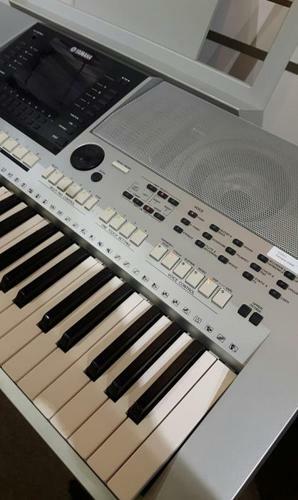 Yamaha PSR-170 Keyboard with stand.